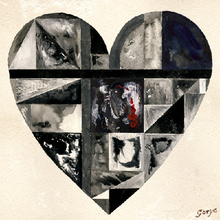 On a recent road trip one of my girls had this song on her playlist: Gotye, Somebody that I used to know. It is a nice enough Indie Pop song and a pleasant car trip track. However, at my age the song’s title has quite some significance. There are a number of people who were once so close, significant and influential in my life. And yet now they have become merely someone that I used to know. How did that happen? Why do we let some people into our lives for a season and then drift away? Why do others get pushed to the side or left behind? Every now and again they pop up on Facebook as a potential friend. But if I am honest I know that they are not a friend, but merely someone that I used to know. With time, experience and some wisdom I hope that we get better at relationships. We know how to negotiate the complexities of friendship, romantic love, family feuds and collegiality. We have real boundaries, clear expectations, knowledge of commitment and generous hearts to forgive and persevere when things get hard. Relationships are hard work. Marriage, parents, children, siblings, girlfriends, colleagues, neighbours. The R factor is important.